Have you heard that there’s a new cloud rising over Salford in the not too distant future? A mesh / hot spot of technology and communication providing a WiFi Cloud, that just maybe, could help you and yours truly surf that there T’internet for a few bob less than your surfing right now, maybe even free access to all Salford residents, visitors and businesses some time in the future? As i was lucky enough to get an invite, i thought i’d drop by TVSalford Academy on Langworthy Road in Salford and find out a little more about what’s going on! 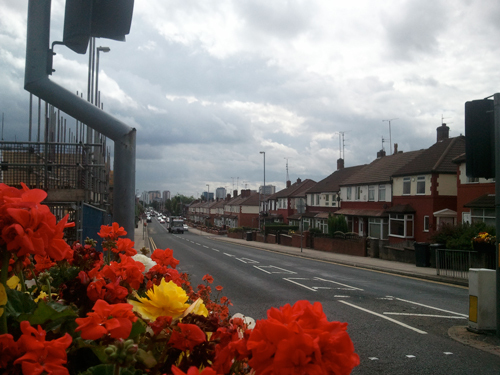 As I get off the bus and make me way down Langworthy Road, to go and have a chat with Thomas at TVSalford. I’m wondering what’s going on over me head in the WiFi clouds of Salford? Whilst i’m walking down the road in the hope of finding out a little more about this here Salford WiFi Cloud. 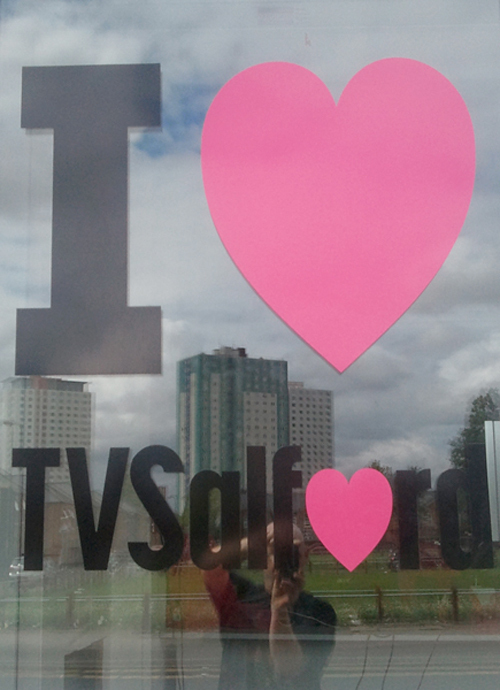 I’m also wondering what the future has in store for TVSalford? 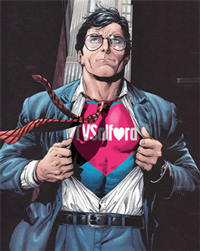 Have a listen below as Guerrilla Podcasts visits TVSalford and chats with Thomas to find out, how TVSalford got started? You’ll hear a little more about the future plans of TVSalford, as they prepare to expand into a new home with Social Adventures, Creative Media Centre, on Bexley Square in Salford. As you’ll know from our chat above, Thomas told me that TVSalford’s only been going for a year or so and would love to hear from you, so if your interested in getting involved in TVSalford? 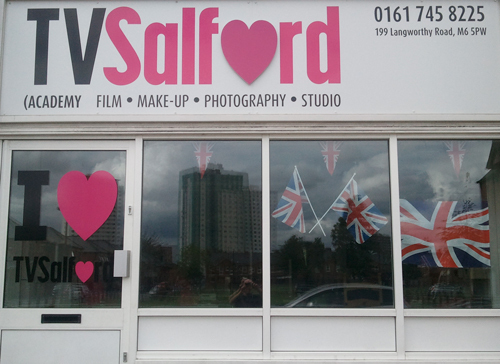 Contact TVSalford for yourself and find out what they have to offer? 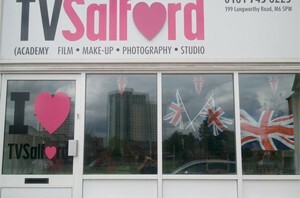 TVSalford have introduce an academy, so that you’re able to gain experience and learn about film, photography & make up on your own doorstep and as TVSalford expands across Salford, into Social Adventures, Creative Media Centre, they would like to get more people involved in their future activities. 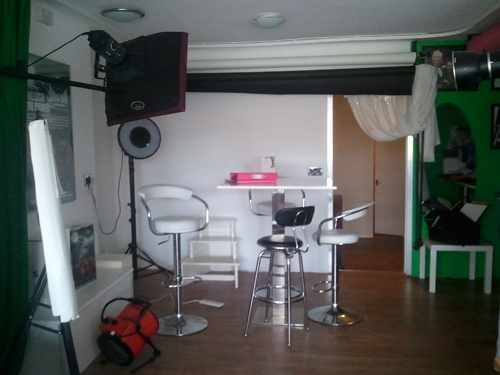 A vibrant hub to nurture creativity around Salford. Whilst i was chatting with Thomas, he told me a little more about the Salford WiFi Cloud. He suggested that a couple of hot spots are currently being created. Whilst still in the early stages of development, hopefully they will provide the basis for what is the ultimate aim, to proved FREE internet access to all residents, visitors and businesses across the whole of Salford. Thomas explained a little more about the two hot spots, confirming that they are still in the process of being developed and making sure that everything works right at this moment in time. As and when all gremlins in the system are sorted the intention is to expand the mesh / WiFi cloud across the whole of Salford. The hope is that the Salford WiFi Cloud will provide free internet access to the whole of Salford! Thomas continues to explain, that the ultimate aim is to help share and improve access to public services & information as being the right thing to do. To help everyone have free access to information without cost being a barrier, no matter where you live in Salford. Take everything said at TVS with a pinch of salt. Do some digging and you may find they are not the wholesome entity they claim to be.